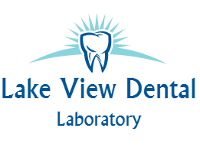 Lake View Dental Laboratory - Creating your smile! We aim to deliver the highest quality services to the entire family. We offer a friendly professional service. We have two convenient locations servicing the Bay of Plenty. Drop in and see us at 1180 Amohia Street in Rotorua or at 137A Heuheu Street in Taupo. Gone are the days of bulky plastic partial dentures. Valpast/TCS flexible partial dentures are unbreakable, flexible, comfortable and metal-free. You'll be surprised at how lightweight and comfortable the TCS flexible partial denture is - you may not notice you are wearing a denture at all! New clients and visitors to Lake View Dental Laboratory always welcome. For more information and for an appointment, just give us a call today. Servicing the Bay of Plenty and Taupo areas. We deliver the highest quality to all ages. We welcome new clients so call us today to discuss and make an appointment.